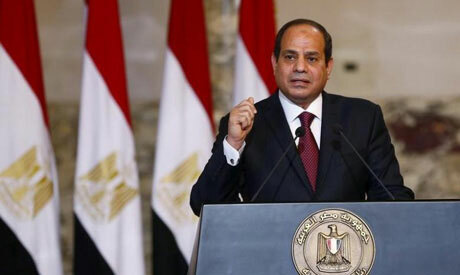 Egypt's President Abdel-Fattah El-Sisi started on Sunday a tour to Guinea, Ivory Coast, Senegal and the United States, presidential spokesperson Bassam Rady said in a statement. Rady said that the president's tour to West Africa comes as part of Egypt's keenness to intensify communication and coordination with its African brothers, as well as to strengthen its relations with the countries of the continent in various fields, including economic, trade and investment relations, especially during Egypt's current chairmanship of the African Union (AU). During the African tour, the president will hold extensive bilateral talks with the leaders of Guinea, Ivory and Senegal to discuss ways of enhancing bilateral cooperation and maximising the benefit of Egypt's chairmanship of the AU, especially in advancing the process of development and promoting economic integration in Africa. Rady added that President El-Sisi's visit to the United States comes at the invitation of US President Donald Trump and aims to enhance bilateral relations in all fields and consultations on regional issues and developments. The Egyptian president's visit to the US will be his second since he assumed office in 2014.